Yes, agreed. Very smart and pretty borders! What a stunning garden you have Dd......some lovely planting there....is that a Banana in the front? Just beautiful, good for you, I'm envious. Thanks Janey it is a banana, we have three plants growing in the jungle area, Dawn thanks very much.....you have a lovely garden. What a lovely garden. Lots of interesting plants. 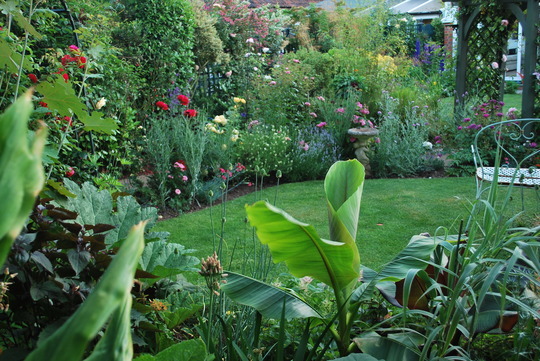 A beautiful garden that looks lovingly cared for. That's a lovely area. Again .... quite I am inspired. Is that really your garden or the kingdom of heaven ?